Following UEFA’s selection of four Polish cities as hosts for Euro 2012, Lokale Immobilia takes a brief look at the state of preparedness of the winning urban centers. 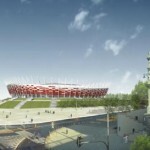 After months of doubt and sharp criticism, the four Polish cities chosen by UEFA to host games in the Euro 2012 soccer championship – Warsaw, Gdańsk, Poznań and Wrocław – have much of their preparation on track. Indeed, though Kraków and Chorzów were officially discounted, hope remains that a slip-up elsewhere in Poland or in Ukraine could still offer the opportunity to participate in the international event. Preparations in those cities are continuing apace. In announcing the decision, UEFA president Michel Platini stressed that all the six candidate cities had met the criteria necessary to organize the tournament. He said that the exclusion of Kraków and Chorzów resulted from their alternate location status. Admittedly, none of the winning cities is expected to complete all of the initially planned investments on time, but construction on key projects seems, in most cases, to be firmly on schedule. 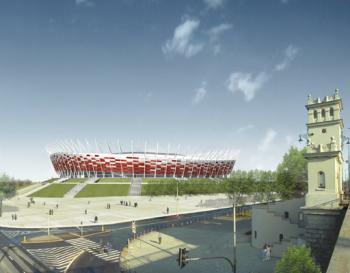 Warsaw, the only Polish city which was practically assured of its selection as a host city, is now moving smoothly ahead with the construction of its soccer stadium, completion of which is expected in 2011. UEFA has deemed the city’s transportation infrastructure sufficient, even though many of the planned investments will certainly be delayed. Gdańsk has not seen any major delays and should see completion of its Baltic Arena soccer stadium by the end of 2010. The city will also modernize its railway station – as will sister city Gdynia – and improve the stadium’s transportation links with the Gdańsk Airport and city center. Poznań, located conveniently close to the German border, was from the start considered a favorite in the race to host Euro 2012. The city is currently updating its Lech Poznań stadium, work on which should be completed in mid-2010 at the latest. Most of Poznań’s transportation investments are also expected to be finished on time. Practically the same can be said of Wrocław, whose location in close proximity to the Czech Republic and Germany was certainly taken into account by UEFA. The city recently signed a contract for general contractor services for its stadium with a consortium headed by Mostostal Warszawa. Construction on most infrastructure investments is proceeding without major delays. Undoubtedly, the state of the cities’ hotel bases was a major point in UEFA’s decision making process, but according to Dorota Malinowska, head of the hospitality department at Cushman & Wakefield Polska, this issue seems to have ultimately been overshadowed by that of progress made on sports and transportation infrastructure. The fact that Kraków and Chorzów were considered alternates from the start also skewed the decision to some extent. “If UEFA representatives had selected the Euro 2012 organizing cities solely on the basis of the state of the hotel base in the particular cities, the winner – in my opinion – would have been Kraków, followed by Warsaw and Gdańsk,” said Malinowska. Malinowska said she did not expect new decisions concerning hotel investments in the selected cities as those should have been – and were – made earlier. “I would instead expect cities such as Wrocław and Poznań to decisively accelerate realization of projects which are at an advanced planning stage, as well as those on which construction is already underway,” said Malinowska. Despite the unfavorable UEFA decision, Kraków and Chorzów do not seem to be giving up on their Euro 2012 investments and have vowed to finish at least the most important ones on time. This applies in particular to the construction on the cities’ main soccer stadiums, both of which are now expected to continue according to schedule. They say there is still some hope that they could replace one of the Ukrainian bidders should those fail in the preparation process. 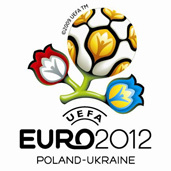 Yeah, Euro 2012 will be great!